Hey, Philadelphia Mayoral candidates. let's adopt the Annenberg accountability standards for charter school oversight. Philadelphians interested in a strong system of public education do, however, have a clear choice. Anthony Williams is backed by the virulently pro-charter, pro-voucher Susquehanna International Group (SIG), a suburban Philadelphia investment firm, who has given Williams close to 1 million dollars to support television ads. This after supporting him to the tune of 1.5 million in his quixotic run for governor last year. According to the Philly Voice Williams campaign manager, Dawn Chavous, has not only worked for SIG, but is a former executive director of Students First, a pro-charter, anti-union lobbying group who has also donated money to Williams in his various campaigns. Clearly, a vote for Williams is a vote for the further decimation of the Philadelphia public schools through the proliferation of charters and efforts to divert scarce public school funds to voucher programs. Kenney, while a former charter board member and whose public pronouncements have shied away from a position in opposition to charters, has a more balanced view of the issue. He has called for charter schools to work cooperatively with the other public schools for the benefit of all children. He demands that charter schools operate in an open and transparent manner and be both fiscally and educationally accountable. He calls for an end to activities that discourage students with special needs from applying for admittance. Kenney’s positions strongly echo some of the recommendations of the Annenberg Institute of School Reform out of Brown University. In a white paper that came out last fall, entitled, Public Accountability for Charter Schools: Standards and Policy Recommendations for Effective Oversight, the Annenberg group calls for the following improvements to charter school oversight. 1. Traditional school districts and charter schools should collaborate to ensure a coordinated approach that serves all children. This recommendation echoes the original purpose of charter schools to be innovative laboratories that worked with regular public schools for the improvement of all. 2. School governance should be representative and transparent. Too often charter school boards have been made up largely of people outside the actual school community and have operated in secret beyond the purview of the families sending their children to the school. 3. Charter schools should ensure equal access to interested students and prohibit practices that discourage enrollment or disproportionately push-out enrolled students with special needs. Many charters have used methods, both subtle and overt, to insure they attract only the students they want to teach and who have the best chance of providing higher test scores. 4. 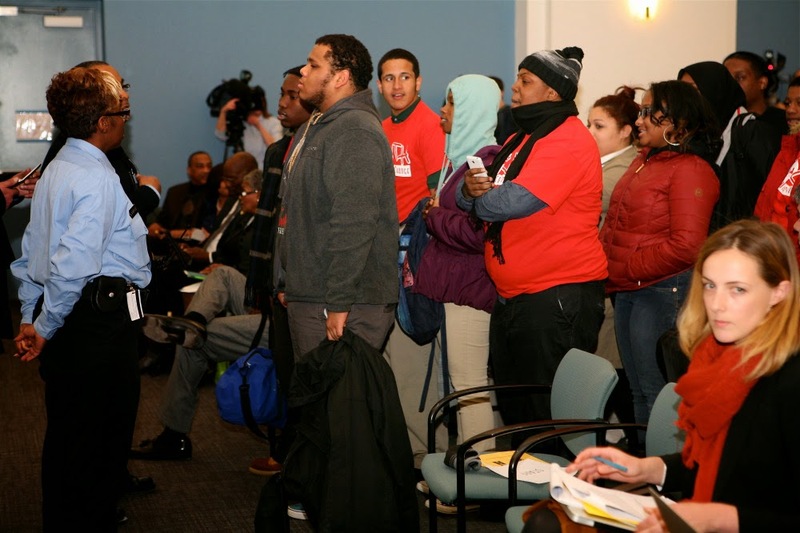 Charter school discipline policy should be fair and transparent. In previous posts I have discussed the militaristic behavior policies and harsh and demeaning punishments I have witnessed in charter schools. I characterize these policies as “colonialism.” These “no excuses” policies would never be acceptable in the suburban public schools. 5. All students deserve equitable and adequate school facilities. Districts and charter schools should collaborate to ensure facility arrangements do not disadvantage students in either sector. In the battle over instructional space, there should be no winners and losers. All children deserve a safe, clean, well-resourced place to learn. 6. Online charter schools should be better regulated for quality, transparency and the protection of student data. 7. Monitoring and oversight of charter schools are critical to protect the public interest; they should be strong and fully state funded. In 2010, the Philadelphia Comptroller’s Office released a report on the lax oversight of Philadelphia’s charter schools and the widespread fraud and pilfering of public funds that resulted. The litany of abuses is long and extremely worrying. Charter schools often escape the type of scriutiny that regular public schools receive routinely. The ideas…would stifle the innovation we are getting from charter schools by bludgeoning them with regulation. If enacted, the recommendations in the report would negate many of the recent advances in school design and utilization that have been enabled by charter flexibility. In other words don’t make us play by the same rules because we can’t be innovative if you do. Apparently innovation means hours of test prep instruction, draconian discipline policies and fiscal mismanagement and fraud. We can do without these innovations. Just days ago the Nashville, Tennessee school board adopted the Annenberg policy standards. I would like to see call from all who care about public education in Philadelphia for all mayoral candidates to declare that they will adopt the Annenberg Institute policy recommendations for charter schools as soon as the election is over. If we must live with charter schools in Philadelphia for the near future, that is the least we can expect from our public officials. What do you say Mr. Williams and Mr. Kenney? Are you on board?